"The Positron is based off of an old Watkins Dominator circuit... Most guitar geeks believe it’s the same circuit marshall used for its 18watt amps. Mike Holt (our engineer) did some tweaks to it that give it a little more punch and balls. Gregg Antonicelli hand built and wrapped the head shell and cabinet from 3/8ths Baltic birch. The Positron is handwired point to point in Houston TX using the best components available and is guaranteed for life." 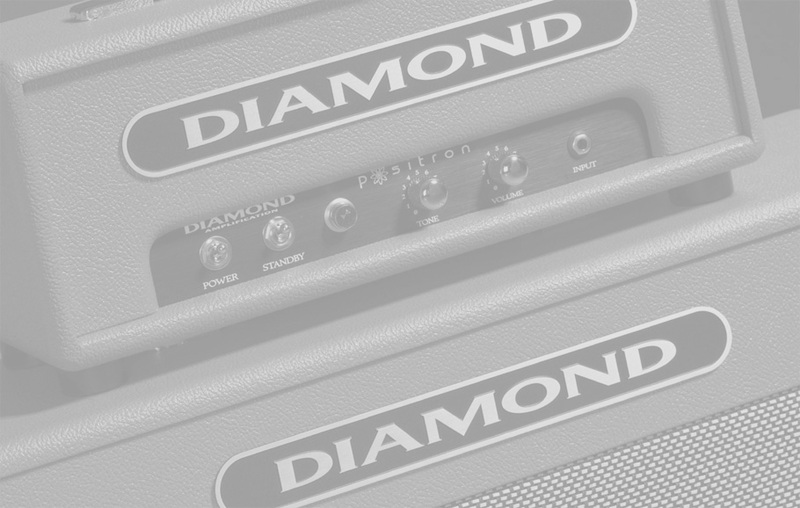 The Pinkburst Diamond Positron amp holds the additional distinction of being the first Positron - with a serial number that reflects its status as the vanguard of Diamond's Positron series.